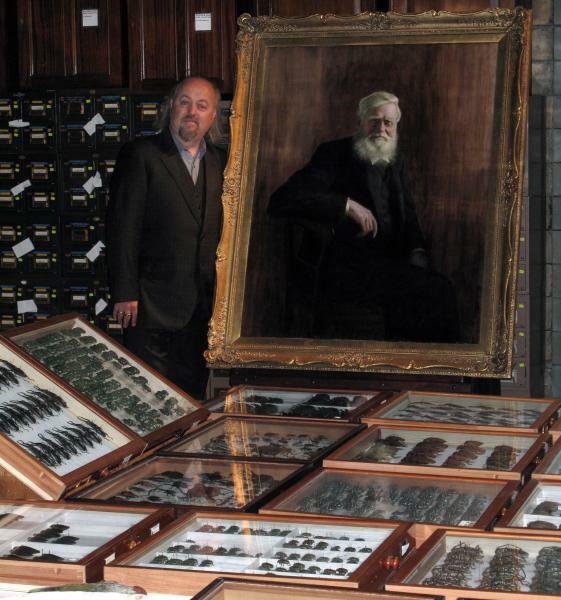 Bill Bailey Celebrates the Other Darwin, Alfred Russel Wallace. I was quietly dreading Billy Bailey’s Jungle Hero, his programme on the forgotten co-discoverer of Evolution by Natural Selection, Alfred Russel Wallace. Few things are as tired or as tedious as watching yet another so say comic being hilariously mismatched with an incongruous topic, and sent off in search of an exotic location to use as a pointless backdrop. Happily, this was very much the exception to that rule. Which was principally down to Bailey’s unmistakable and genuine enthusiasm for his subject, and their joint area of interest. 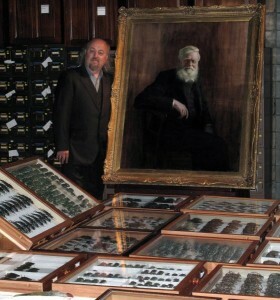 Alfred Russel Wallace was an amateur scientist in the classically Victorian mould. He spent his life trying to make sense of the animal kingdom and our place in it. And he funded his quest by travelling to the farthest corners of the globe, collecting exotic specimens that he was able to send back home and sell in London. 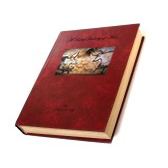 These twin pursuits, of knowledge, and of collecting insects – and discovering new ones – are clearly shared by Bailey. And there really was only way for him to tell us about Wallace and his discoveries. Which was to take us with him on the journey that the latter made in the 1850s. Bailey and his fellow film makers got everything just about right in this programme. The explanations of how Russel arrived at the idea of natural selection, and of why it was that it happened there, in the Malay Archipelago were clear and simple without ever being over simplified. And they were interspersed with just about the right amount of local colour and personal anecdote. There was a political slant to the programme too. Wallace is the forgotten figure in the story of evolution by natural selection. We only ever remember the first person to discover anything, and society and the scientific establishment chose to celebrate the well-bred Darwin and not the lowly Wallace, despite the fact that their papers were presented together. Indeed, Darwin was only moved to publish at all because of what Wallace had sent him. When to his horror, he discovered that his life’s work was in danger of being eclipsed by this amateur enthusiast on the other side of the world. All of which is true. But Darwin had been working on his theories for nearly 20 years before Wallace had his eureka moment. But he understood how explosive an idea natural selection would prove to be, and he wanted to gather as much evidence as he could before publishing anything. And there were other reasons why the scientific world forgot Wallace. Like his proselytising of Spiritualism, and his credulous championing of séances, both of which he insisted on seeing in a “scientific” light. Nonetheless, he deserves to be more fully celebrated, and Bailey is demonstrably the perfect man for the job. The concluding episode is on this weekend on BBC2. Sign up for a subscription right or below, and I shall keep you posted on All the Very Best and Worst in Film, Television and Music. 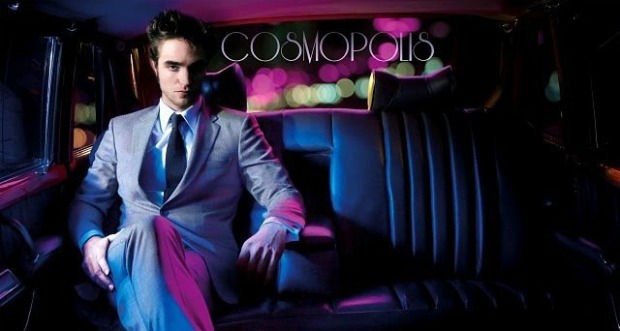 Last year’s David Cronenberg film, Cosmopolis, seems to have passed most people by. Which is a shame, because it’s got an awful lot going for it. Don DeLillo’s 2003 novel, on which it is based, certainly seems in retrospect to have been remarkably prescient. It follows an obscenely rich and impossibly young trader, played by Twilight heart-throb Robert Pattinson, who spends a day in his limo as the financial world around him implodes and his fortune evaporates into thin air. All the time, and all around him, hordes of anti-capitalist Occupy-type ne’er-do-wells stalk the streets. But far from panic, or even react to any of this, Pattinson drifts aimlessly from hour to hour in a state of existential ennui. The novel came out in 2003. And although DeLillo had actually already written the bulk of it before September 11th and the dot com crash of 2001, it certainly feels like it’s a reaction to the impending sense of doom and Armageddon that came in the aftermath. Given what happened to the financial world in the decade that followed, it all looks remarkably relevant and feels surprisingly fresh. All of this of course is classic Cronenberg terrain. Since calming down from his earlier blood and gore fixations, Cronenberg has developed into one of the most consistently interesting and thought-provoking film makers working today. Films like eXistenZ (1999), Spider (2002) and even the apparently conventional Freud and Jung biopic A Dangerous Method (2011) all explore questions of our place in the world, and examine notions of appearance versus reality. But it’s the superb and criminally overlooked Crash (1996) that Cosmopolis most closely mirrors. It falls midway between that and Brett Easton Ellis’ American Psycho, as our hero descends on a Stygian journey into urban alienation and existential angst. Where everything is surface, and life has lost all meaning. Pattinson is impressive now that he’s been given something grown-up to do. And his American accent is considerably better than to ought to be, if the attempts of any of this compatriots are anything to go by. Apart of course from Hugh Laurie’s, which is obviously a deliciously wicked joke at the expense of all of his American viewers. The supporting cast of Paul Giamatti, Juliet Binoche and the porcelain Sarah Gadon as his even more diffident wife are all flawless. And all look palpably relieved to find themselves in something made for people of a double digit age and with a triple digit IQ. You can see the trailer for it here. 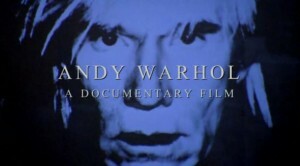 Revealing Warhol Documentary on Sky Arts. There’s a very interesting thesis at the heart of Ric Burns’ Andy Warhol: A Documentary Film, currently being shown on Sky Arts. The general consensus has always been that Warhol’s output can be divided straight down the middle, by Valerie Solanas’ attempt on his life in 1968. There was all of that frenetic yet incredibly focused energy that he put into an extraordinary variety of work before. And then there was a long and protracted decline as the shock of coming so near to losing his life shattered his confidence and sent him forever into a premature shell. By the early 60s, the shy, asexual workaholic had established himself as one of the most successful art directors in east coast advertising. When he then launched himself as a full time artist his success was meteoric. And between 1962-8 he was one of the key people responsible for transforming New York into the centre of the world. First came Pop art. The seeds of which, the film convincingly argues, had been sown in him by the sight of the stained glass windows at his local church. His pious mother had taken her sickly child there every weekend and he’d gaze up at them for hours on end. 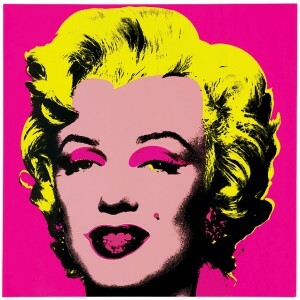 That was followed by the now famous and genuinely iconic silk-screen portraits. The Marylins, Elvises and the Jackie Os. But there were also the avant garde films, the happenings and the music. 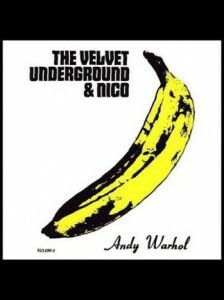 All of which culminated with the Velvet Underground and the four seminal albums they produced. It seemed like the entire artistic universe was centred around Warhol’s whirlwind and increasingly infamous Factory on East 47th Street. But, the film points out, Warhol had acquired his nickname Drella for a reason. A combination of Cinderella and Dracula, it cleverly suggested an ingénue who sits innocently watching. But one that’s secretly and silently sucking all the blood from all who come into contact with him. The drag queens, pimp, pushers and assorted wannabes that Warhol was openly encouraging to gather there and hang out might have been fantastic fodder for his art, music and film. But he was demonstrably using them. And there were few of any of them producing anything of worth. The Velvets were the exception not the rule. Promising so many lost souls the earth was always going to cost him, eventually. And when Solinas shot him for not carrying her with him up into the heavens, there was a sense of inevitability rather than surprise about it. Ric Burns is the younger brother of Ken, and the pair made the seminal The Civil War in 1990, which was followed up by Jazz in 2001. They’ve carved out a reputation for austere if slightly conservative, old school documentaries. And there’s nothing wrong with that. As this fine 4 hour plus film demonstrates. 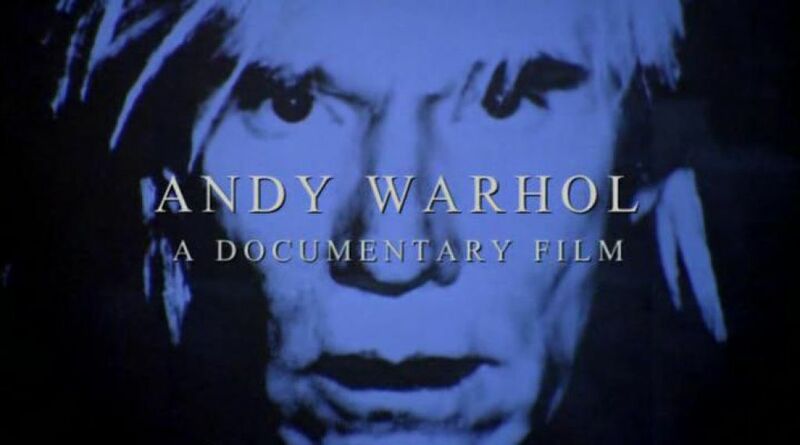 And although it does sail dangerously close to hagiography, as the NY Times suggests in its superb piece here, Andy Warhol: A Documentary Film nonetheless makes a very convincing case for its claim that he was the most important artist in the latter half of the 20th century. Keep your eye out for it. 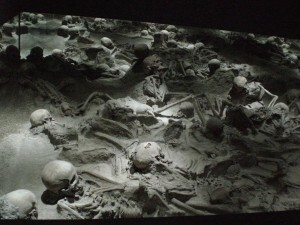 BBC2’s Superb Programme “The Other Pompeii: Life and Death in Herculaneum”. Surprisingly, the first time that anyone ever practiced archaeology was in 1738. It was then, on October 22nd to be precise, that Rocque Alcubierre sat down to carefully write down a description of all the things they were digging up at the recently discovered Roman town of Herculaneum, just outside of Naples. 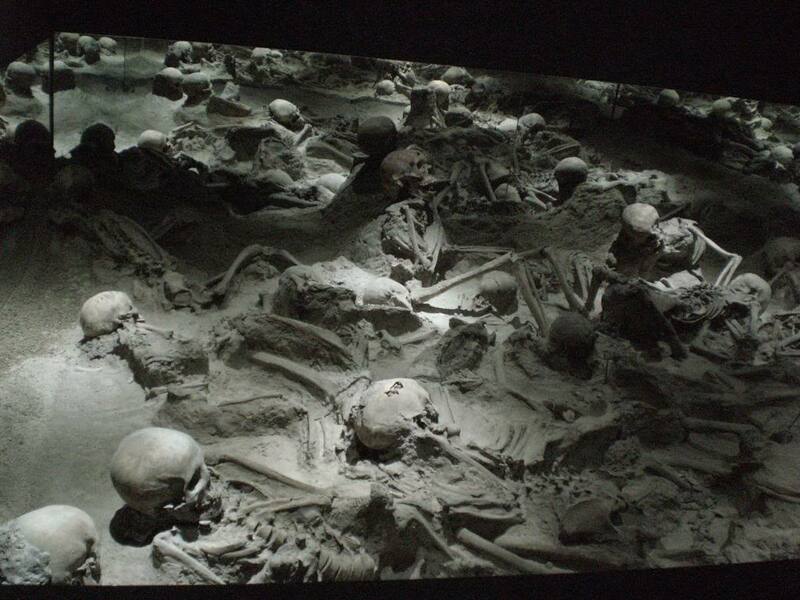 Soon after that, a second town captured in time was unearthed at nearby Pompeii. And the science of archaeology was born, as Rocque and his fellow workers began to ask themselves the sorts of questions that archaeology poses. Should they put what they found back where they found it? Or should they take it away to be stored somewhere else, where it could be looked after more safely? 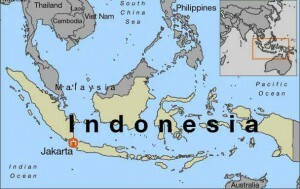 And if so, where? The word archaeology had first been coined by the Greek historian Thucydides in the 5th century B.C., when he described what had accidentally been dug up on the island of Delos. Delos had always been sacred to the Greeks. 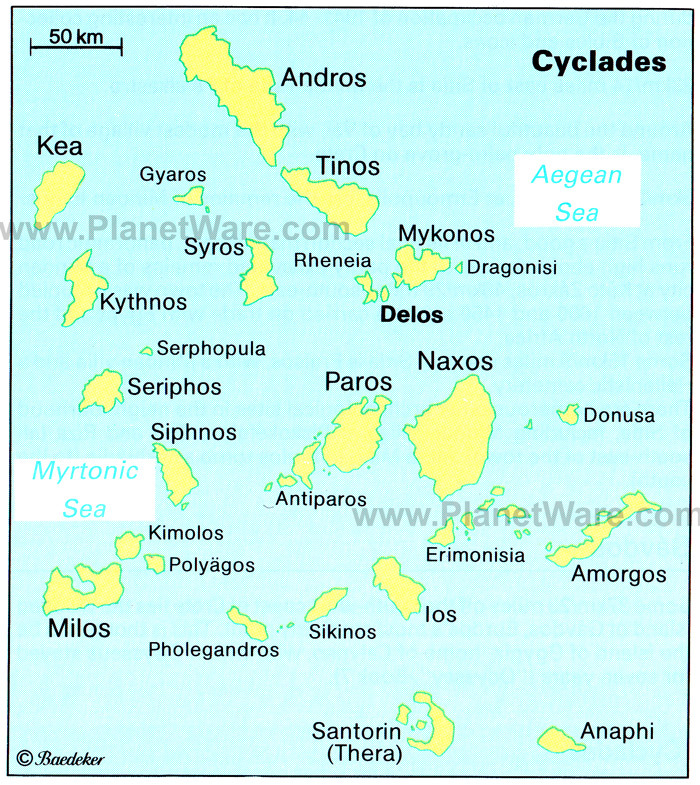 The group of island that it is part of, the Cyclades, gets its name from the fact that it is around Delos that the larger islands of Naxos, Paros and Mykonos are circled. 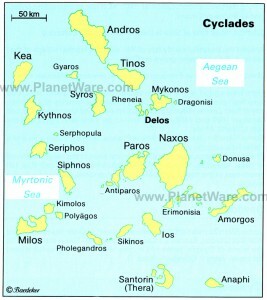 So the Greeks had always assumed that they’d always lived there. But when they dug up artefacts that had clearly come from nearby Turkey, Thucydides correctly argued that there must have been others who had lived there before the Greeks. But it was only after Herculaneum and Pompeii were discovered some two thousand years later that we began to practice, systematically, archaeology itself. They’d been caked in volcanic ash after Mount Vesuvius had erupted in 79 A.D. And they’ve given us an extraordinary window into life in first century Ancient Rome. Our guide for this programme was Andrew Wallace-Hadrill, Director of the Herculaneum Conservation Project in Rome. And what he gave us over the course of the hour were a series of fascinating insights that were as calmly informative as they were quietly moving. He walked us through the differences between Herculaneum and the more famous Pompeii, explaining the different discoveries that we’ve been able to make there, and how it was that they were revealed. Painstaking analysis of human waste, bones and skeletons, together with an array of artefacts has produced an arresting set of images frozen in time. Women and children huddling in shelter, as the menfolk stood desperately out in the open on the beach. A young boy clinging on to his pet dog. A two-year-old girl with her silver earrings, being clung to by her mother. Wallace-Hadrill was the perfect guide on a fascinating tour. And what a pleasant surprise to see a programme on Rome where the focus of attention was on the Classical world and not on the presenter. Erudition and a certain sense of modesty are not, it seems, a thing of the past.